Great city beats today with the silent whisper of history, the lively spirit of youth and charm of the Mediterranean yet in every way also Croatian warmth. 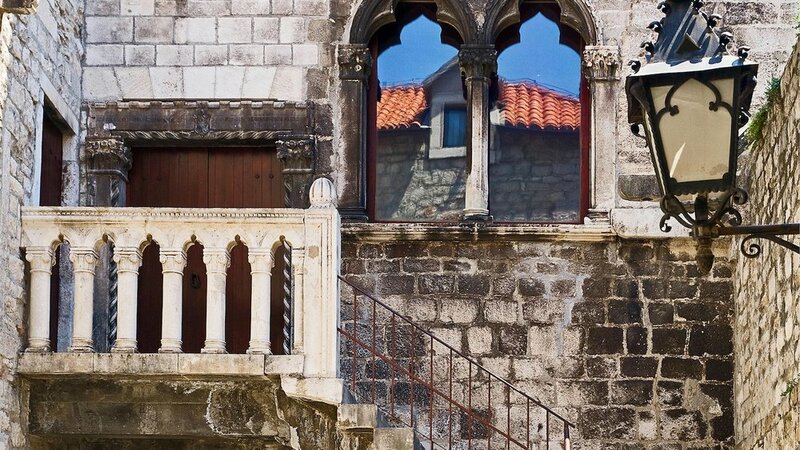 The story of Split is already 17 centuries old, dating to the time the Roman Emperor Diocletian decided to build his Palace right on the peninsula near the great Roman city Salona, where he wanted to spend the last years of his life. During these 1700 years the Palace slowly turned into a city, which to this day lures with its rich tradition, glorious history and beauty of its natural and cultural heritage. Split lies on the Adriatic coast, central Dalmatia, on the Split (Marjan) peninsula. Although surrounded by sea as a peninsula, Split also borders with surrounding mountains, Mosor on the northeast, Kozjak on the northwest, and Marjan hill as one of the most important symbols of the city, rising on the west side of the peninsula, in the immediate vicinity of the old city centre. Split is also surrounded by the islands Brač, Hvar, Šolta and Čiovo. Split is also a venue for excellent gourmet and vine experiences, numerous cultural happenings like film and theatre festivals, exhibitions, excellent museums and concerts, a city which offers eclectic modes of entertainment starting with numerous clubs and bars, through street festivals to events such as Ultra Europe Festival visited each year by up to 100 thousand young people from around one hundred countries of the world. When you tire of the city bustle, there’s Marjan, hill symbol over the city, with its forest, jogging trails, mountain climbing and biking, recreational terrains, but also the ancient churches where the late citizens of Split sought spiritual peace. Also very unusual to find in a city the size of Split are the numerous beaches with extraordinarily clean sea, from the well known Bačvice to the stone secluded oases’ all around Marjan.